Traditional sports teams are putting a lot of money into esports for sports simulation games. NBA 2K developer Take-Two Interactive Software is partnering with the NBA to form a franchised esports league, ESPN reports. 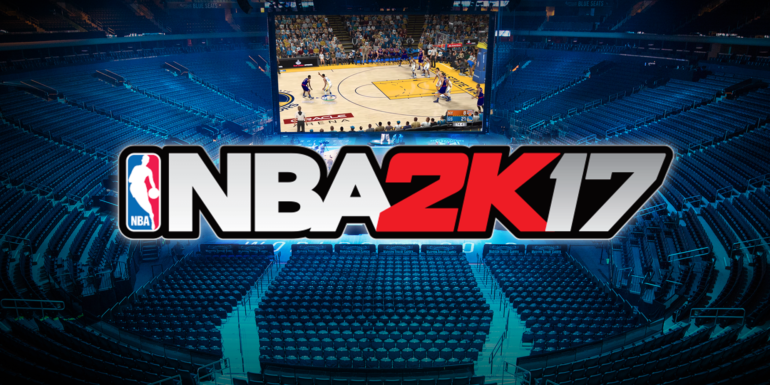 Set to begin in 2018, all current NBA teams showed interest in participating in the so-called NBA 2K eLeague, NBA commissioner Adam Silver said. While the NBA’s initial investment in the league remains unknown, “the financial consequences could be substantial,” Strauss Zelnick, the CEO of Take-Two, stated. By all means, both companies seem to be very serious about the project. Players will be salaried and are expected to treat the league as a full-time job, at least during the five-month season that mirrors the real NBA season. While details about the schedule have not yet been announced, the league will stage events that sell tickets, offer its own merchandise, and sign sponsors. Even licensing is being discussed, Silver and Zelnick told ESPN. The NBA hopes that at least half of the teams are ready to field rosters by the league’s tentative start in 2018. The move comes among growing interest from traditional sports clubs in esports. In the U.S., this development is spearheaded by the likes of the Philadelphia 76ers, who acquired Team Dignitas and Apex Gaming, and multiple NBA franchise owners—Grizzlies, Warriors, and Bucks just to name a few—making investments in the industry. The majority of sports clubs have only dipped their toes into the esports pond. Most stick to sports simulation games like FIFA, Madden NFL, or NBA 2K, and avoid top tier titles, for now. These games could, however, see clubs fully commit to esports over time.The number of first, second, and third division clubs that are putting gamers into their jerseys all over the world becomes almost incalculable, 30 at least and growing on a monthly basis. Dutch premier soccer clubs recently formed the E-Divisie, their own FIFA esports league. In France, the e-Ligue 1 was created last year. The Virtual Football Organization (VFO) includes soccer clubs from almost every division in Spain. It’s safe to say that sports clubs creating their own leagues is the latest trend. The NBA 2K eLeague is just the next in that line. Admittedly, it’s a very ambitious candidate when it comes to its execution. If it succeeds, it will surely lift sports simulation esports to the next level.